AT&T may not be the exclusive provider of the iPhone in the U.S. any longer, it still remains the largest iPhone provider across the globe. The company just released its second quarter results, and enjoyed a large boost in smartphone sales, as it sold over 5 million smartphones, a year-over-year increase of over 40 percent. Once again, the iPhone was the top smartphone at AT&T, with 3.6 million units sold over the last three months – that’s more than one out of two smartphones sold by the company. To put these figures in perspective, about 18 percent of all iPhones sold worldwide over the second quarter were AT&T iPhones. 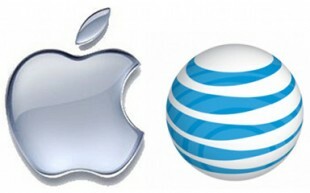 Given that Apple showed tremendous growth over the last quarter, AT&T’s results are not surprising. Apple’s growth is primarily fueled by the success of iOS devices, as Apple sold over 20 million iPhones during the second quarter, representing 142 percent unit growth over the year-ago quarter – AT&T and other iPhone carriers such as Verizon are simply reaping the benefits of this growth. Overall, AT&T showed strong results: the company added over 1 million new subscriber during the quarter, its sales for the quarter are over $30 billion, and its profits are up 2 percent.